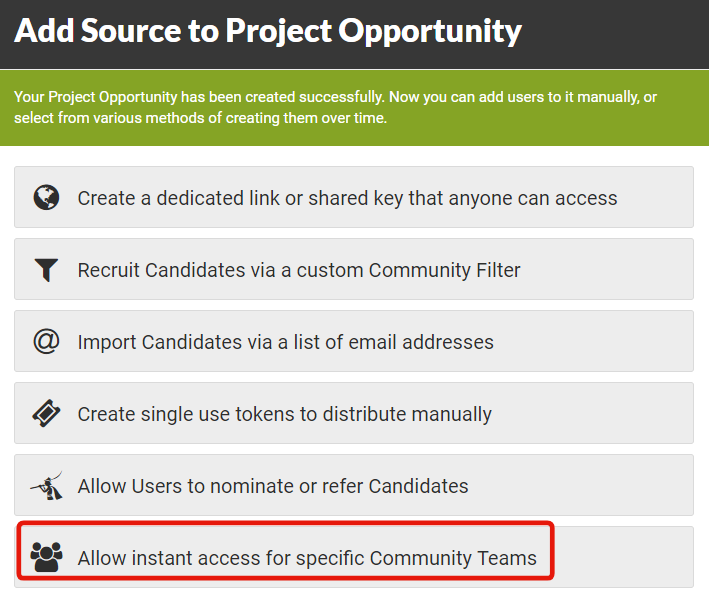 How can I get select Community Teams immediate access to my Project? Team Access allows you to grant chosen Community teams immediate access to your Opportunity. Members of the chosen Community Team(s) see a link to your Opportunity on their Community Homepage. 3. Complete your Source Name and select the Community Team which will have access. 4. Click Next to complete. Open Opportunities display in place of your Team Access Source, if one is set. What is Onboarding and how do I use it?